An open field where plump, well-fed livestock waddle their way through the grass under the eye of honest, local farmers — that’s how people like to envision where their meat comes from. The reality, however, is that most of the beef consumed in the U.S. comes by way of an industrialized system that confines cows to small pens in vast feedlots, where they are fattened with hormone-laced grains before being shipped away for slaughter in what are essentially meat factories. The industrial system makes meat products more affordable, but not particularly humane — and that’s beside the environmental costs and health concerns about meat-centric diets. Agriculture contributes to about 14 percent of global greenhouse gas emissions, destroys natural habitats and pollutes water worldwide. Yet people are reluctant to give up their steaks and chickens. According to the U.S. Department of Agriculture, beef and poultry consumption hit record highs in 2018, with the average American eating over 200 pounds of meat. But soon, meat lovers will have a new option for satisfying their cravings — one that involves neither open fields nor industrial slaughterhouses: laboratory-produced meat. Until recently, the idea of lab-grown meat was constrained to a distant, futuristic realm, but by the end of 2018, the U.S. Department of Agriculture and the Food and Drug Administration announced a joint agreement to oversee the production of cell-cultured meat. And if manufacturers succeed in driving down current sky-high production costs, you may soon see lab-grown meat not just in fancy restaurants, but on grocery store shelves, too. Advocates tout lab-grown meat (they prefer to call it “clean meat,” for marketing reasons) as a much more sustainable alternative to the current industrial system. Still, consumers remain skeptical. In a 2017 study published in Public Library of Science, nearly two-thirds of people surveyed were willing to try clean meat, but only one in three was willing to eat it regularly as a replacement for conventional meat. Some were skeptical of the taste and appeal of lab-grown meat while others cited safety or health concerns. The survey also found many people had little or no understanding of what clean meat actually is. To clear up some of those misconceptions, here are some basics about lab-grown meat. The idea of growing cells outside of a living body has been around since the 19th century and used in everything from tissue preservation and vaccine production to chemical safety testing and much more. 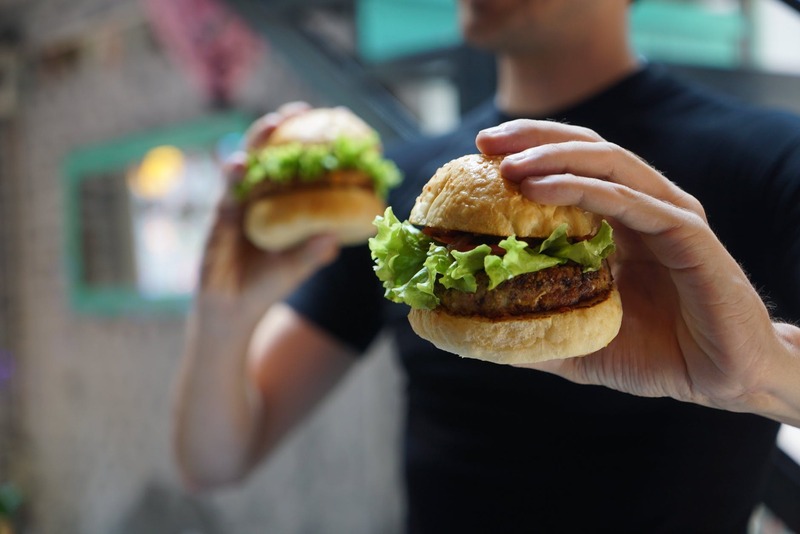 But it wasn’t until 2013 that the first lab-grown burger was unveiled to the world by Mark Post, a vascular physiology professor at Maastricht University in the Netherlands. Start-ups have since raced to perfect the technology. Companies including JUST, Memphis Meat, and Mosa Meat each use a slightly different technique but the basic concept is the same: begin with a stem cell from a live animal. Developers feed the extracted cell salts, sugars and amino acids so it can grow and multiply via hundreds of cell divisions. The cells created can be of different lineages — muscle cells, fat cells or tissues — allowing producers to create different types of meat such as steak or chopped burger. So is it really meat? Well, sort of. Clean meat is made from stem cells extracted from real, live animals. There are all sorts of ways to extract them, including a conventional surgical biopsy. They can even be extracted from the feather of a bird, according to Isaac Emery, a senior environmental scientist at The Good Food Institute, a non-profit organization that helps companies develop clean meat products. That’s a definite yes. A 2011 study found that clean meat produces 78 to 96 percent lower greenhouse gas emissions, uses 99 percent less land and between 82 and 92 percent less water. Research at the Good Food Institute has concluded that a cell culture the size of one chicken egg can produce a million times more meat than a chicken barn stacked with 20,000 chickens, according to Emery. Energy costs, too, are much lower — and no animal parts are wasted, he adds. Experts say cost is the main obstacle standing between consumers and clean meat products. JUST’s Birdie says the company is pushing hard to drive down production costs. “How do we make these products in order to compete with the price of a Big Mac?” she asks. The biggest expense, she says, is protein used to feed the cells as they grow. In an effort to improve cost efficiency, JUST has developed a robotic platform capable of screening thousands of proteins to find the best at spurring growth, she says. How soon can I try some? Depending on where you live and your willingness to pay a very expensive restaurant tab, you may be able to try some clean meat in 2019. While JUST promises a product in the coming months, it’s a ‘limited-edition release,’ and likely available only at select restaurants. Through his work with various producers, Emery says he expects that clean meat will be in the supermarket within two to five years, and could be as inexpensive as conventional meat in a decade. Former USDA official Hutt, however, is less optimistic. She argues that the process behind food regulation takes a long time, and expects the debate behind labeling clean meat to drag on. I think that it’s possible for something like “clean meat” to help with the ever rising issue of climate change. Since, as stated above, agriculture contributes to quite a sum of greenhouse gasses being put into our atmosphere (which in turn affects everything below), it’s definitely important to consider what we might need to achieve with modern science to limit that percentage down to 0. Greenhouse gases essentially harm the Earth by creating something like a blanket that traps in heat, causing that heat to stay within our space without an escape rout, which in turn heats up oceans and causes numerous other environmental issues. Another plus to this idea of “lab-created meat” is that it will hopefully limit the number of cattle that graze and generally exist. Cattle are an incredibly destructive species that pretty much trample and eat everything in its way. They are an invasive species on native lands, where they pass diseases off to local bison and take the local resources for themselves, laving little to none for the bison. This would give us the space to ecologically conserve and restore large areas with native plants and give more room to those native species that have been limitted by human laws on what grounds they are considered safe on. Interesting. I’d love to see it work out. Question: What protein sources are predominant (currently) in feeding these cultures? If the protein is the main cost, how will they drive down costs by the orders of magnitude required to compete in the market? ^Scott: From what I understand certain types of algae and cyanobacteria are currently the primary sources used. ^Scott: I don’t know if this could be possible but may it potentially get to the point eventually to grow proteins to feed these cells in an endless loop? I find it ironic that this woman from the USDA, notorious for being lobbied excessively by food companies, claims that they are “protecting the consumer.” No doubt big farming companies will pull out all the stops to make this as difficult a process as possible to keep their profits intact. Very interesting I would just rather et real meat made from cattle. You will never understand my side until you have about 2,500 head of cattle as we do. Even though we raise Angus production cattle i still understand the soldering system.